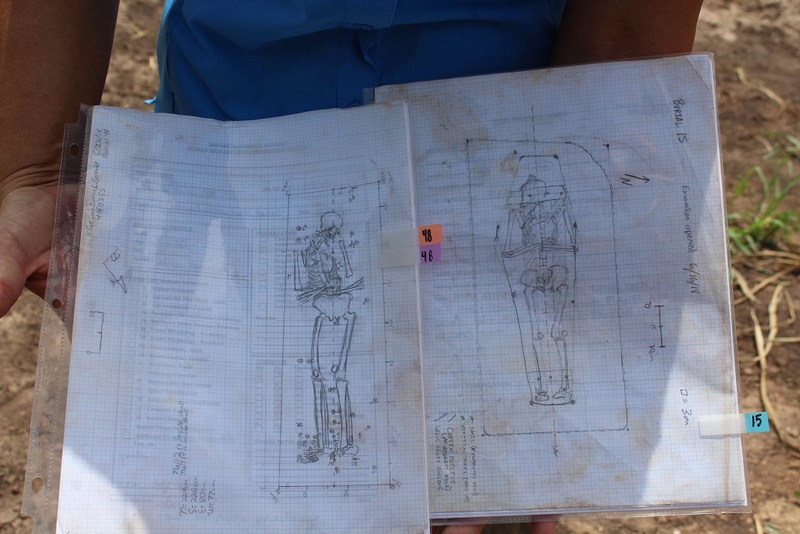 HOUSTON (CN) – A Texas school district has stumbled on the state’s post-Civil War history of leasing black prisoners to plantation owners, as its construction project turned up what archaeologists believe are the bones of prisoners-for-hire in an unmarked cemetery. Fort Bend Independent School District got a state judge’s permission last month to exhume the remains, after workers digging a trench in April for the district’s construction of a career center unearthed the first set of bones found on the site. 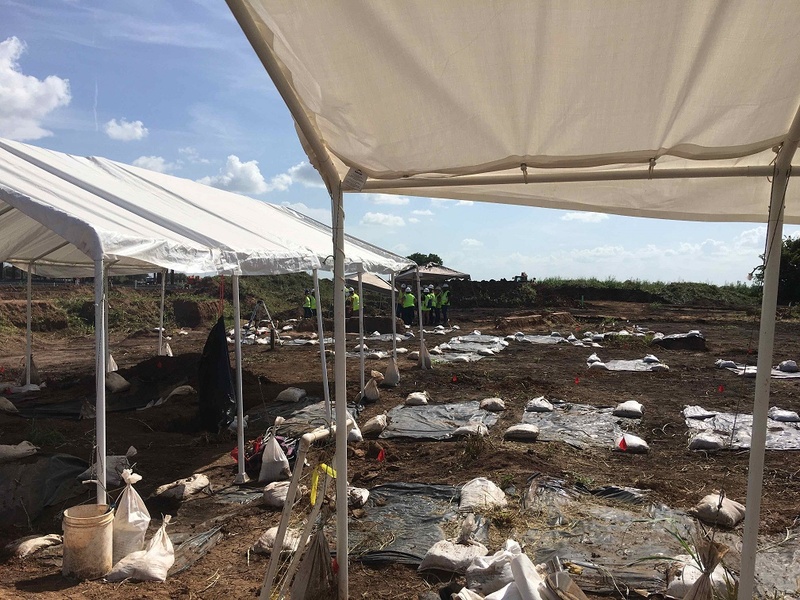 Under advisement from the Texas Historical Commission, the school district has called in a team of archaeologists and anthropologists to dig up and analyze the bones. “We believe based on land use and the materials that come from the burials that this cemetery dates between 1878 and around 1910,” project manager Reign Clark, an employee of Goshawk Environmental Consulting Inc., said in a statement. The 13th Amendment, adopted in 1865, abolished slavery, except as punishment for a crime. This resulted in the de facto continuation of slavery in the South, as Southern states passed laws targeting blacks under which they could be imprisoned for vagrancy and other petty crimes. Experts say Texas started its first convict-lease programs in 1867, two years after the Civil War ended, hiring them out to clear paths for rail lines. Texas also leased prisoners to work for plantation owners, in part because the state could not afford to feed and house them. Texas ended the inmate-leasing program in the early 1900s and that chapter in the state’s history was collecting dust until the school district chanced on the cemetery. 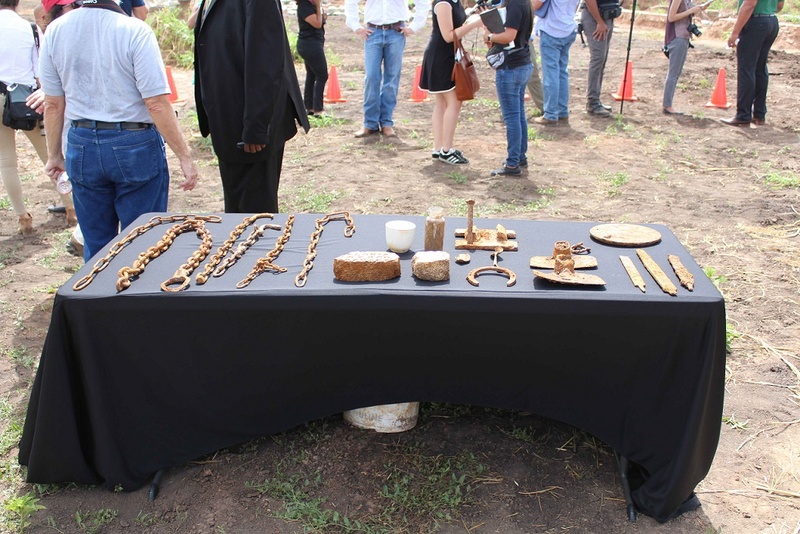 The dig team has exhumed 48 skeletons and identified 95 burial plots on the site in Sugar Land, a southwest suburb of Houston that is one of the nation’s most ethnically diverse cities. The process is painstaking. Each skeleton takes anywhere from 36 to 48 hours to exhume and four to eight hours to clean, and researchers then spend 12 to 15 hours analyzing the bones, Fort Bend ISD said in a statement Tuesday. Dr. Catrina Whitley, the site’s lead anthropologist, said only one of the skeletons exhumed so far is female, and all have traits of African ancestry. “They’re ranging from 5 feet, 2 inches to 6 feet, 2 inches in height, and anywhere from 14 years of age to 50 to 70 years of age,” Whitley said. The court order authorizing the exhumation did not give Fort Bend ISD permission to do DNA testing on the bones, nor does the school district have the money for DNA tests, its spokeswoman Amanda Bubela said in a phone interview. She said the district is open to partnering with university research institutions on DNA testing. Archeologists and graduate students from the University of Texas, Southern Methodist University and Mississippi State University are helping dig up the bones. After the skeletons are analyzed, Bubela said, the district will have to get another court order to reinter them. But it has not yet decided where to bury them. Bubela said construction of the career center is ongoing and it is scheduled to open in August 2019 as originally planned, but that work has been suspended for the part of the building that was to be constructed on the burial site. A small group of high school students visited the site last week, and school officials said they hope the discovery can educate residents about the area’s past. “I think it’s a remarkable opportunity for our community and our school district to learn much more about the history of our local region,” Fort Bend ISD Superintendent Dr. Charles Dupre said in a statement.